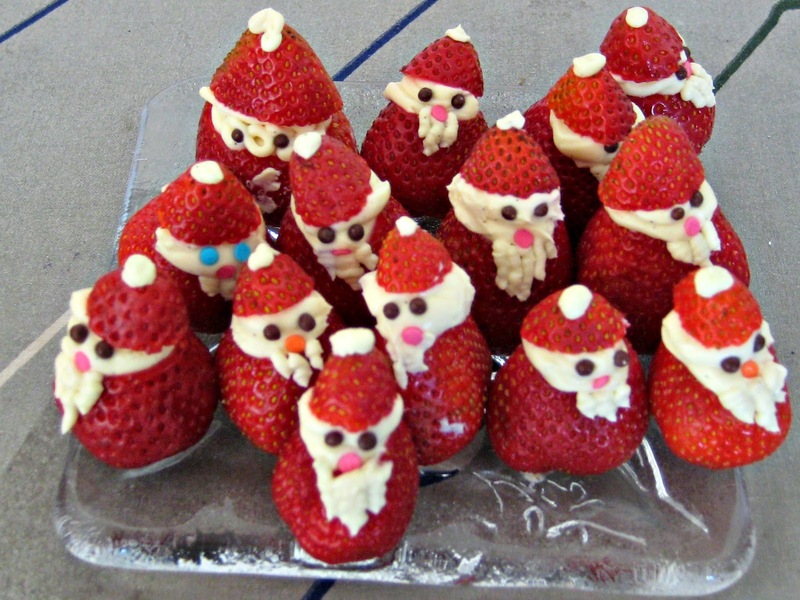 And here to end the day is the plate of Strawberry Santas I took to lunch with friends, strangely they weren't all eaten. I think some of the adults felt sorry for them and the children just thought it was a plot to make them eat fruit. Or they didnt want to risk it - no Santa no presents. They look wonderful. Hope you had a wonderful day.